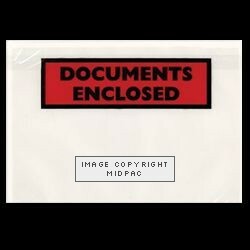 Clear polythene pockets with a self adhesive backing for holding delivery documents on consignments sent mail order. 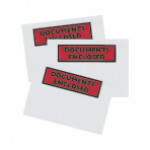 We stock plain Document Envelopes and clear with a bat bar printed Document Enclosed in black. 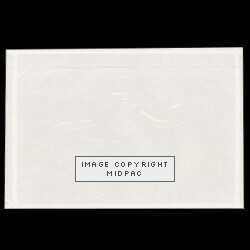 225x165mm Box: 1,000 A5 Plain Document Envelopes ..
225x165mm Box: 1,000 A5 Printed Document Envelopes ..
173x125mm Box: 1,000 A6 Plain Document Envelopes ..
173x125mm Box: 1,000 A6 Printed Document Envelopes ..
128x108mm Box: 1,000 A7 Plain Document Envelopes ..
128x108mm Box: 1,000 A7 Printed Document Envelopes ..